VMCPlayer is a free player for watching video from mobile phone and iPod on your PC. Supports all mobile phone video formats including *.3GP, *.3G2 and *.MP4, most of the video and audio codecs are supported. It is fast, powerful and easy-to-use. VMCPlayer is a free player for watching video from mobile phone and iPod on your PC. Supports all mobile phone video formats including *.3GP, *.3G2 and *.MP4, most of the video and audio codecs are supported. It is fast, powerful and easy-to-use. You and your friends will leave satisfied, but pleasant moment you will enjoy for a long time. TUTU SWF Player - TUTU SWF Player enables your Symbian S60 phones to play standard SWF (Shockwave Flash ) files, such as Flash videos, games, etc. With TUTU SWF Player installed you're free to watch abundant Flash contents as you like. 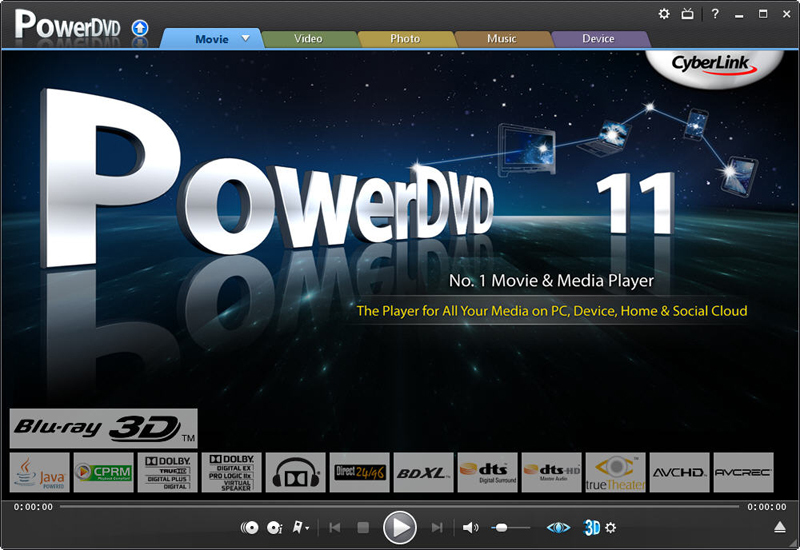 CyberLink PowerDVD - PowerDVD 11 is the ultimate universal media and Blu-ray player that extends your viewing experience beyond just movies. Play all your movies, music, and now photos from one universal player. Cliprex DVD Player Professional - Cliprex DVD Player Professional software is the free solution for playing DVDs on the PC. Sencesa Flash Player - Sencesa Flash Player is a stand-alone player that enables Flash users to easily play their Flash movies (SWF , Flash files). Sencesa Flash Player offers a variety of playback capabilities including Volume control and the Seek Bar.